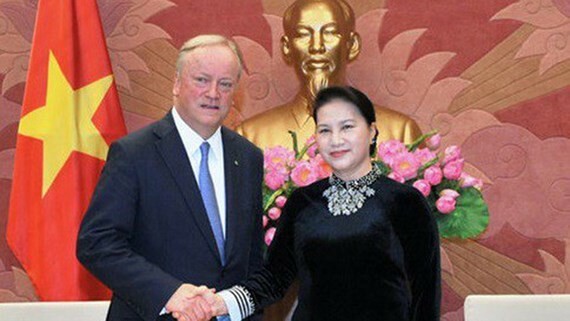 Vietnamese National Assembly (NA) Chairwoman Nguyen Thi Kim Ngan met Chairman of Deloitte's global organization David Cruickshank at the National Assembly House in Hanoi yesterday. At the meeting, Chairwoman Nguyen Thi Kim Ngan praised the attendance of the Chairman of Deloitte's global organization in APEC CEO Summit 2017. In the context of international integration and joining free trade agreement (FTA) of Vietnam, independent auditors and accounting firms as Deloitte have played an important role to clear investment and business activities, increase economic value as well as raise the national income. 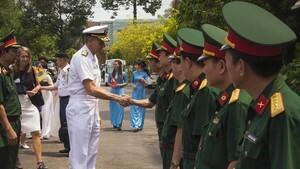 On the occasion, the NA leader desired that Deloitte would continue strengthen further cooperation with the National Assembly of Vietnam, supporting technologies to improve the legal system of independent auditing in Vietnam, providing policy recommendations relating to the financial sector, sharing knowledge and professional experiences to improve supervisory skills in the finance sector for National Assembly deputies. Additionally, the Deloitte's global organization will continue recruiting, training as well as raising personnel quality in Vietnam’s finance field, added Ms. Ngan.